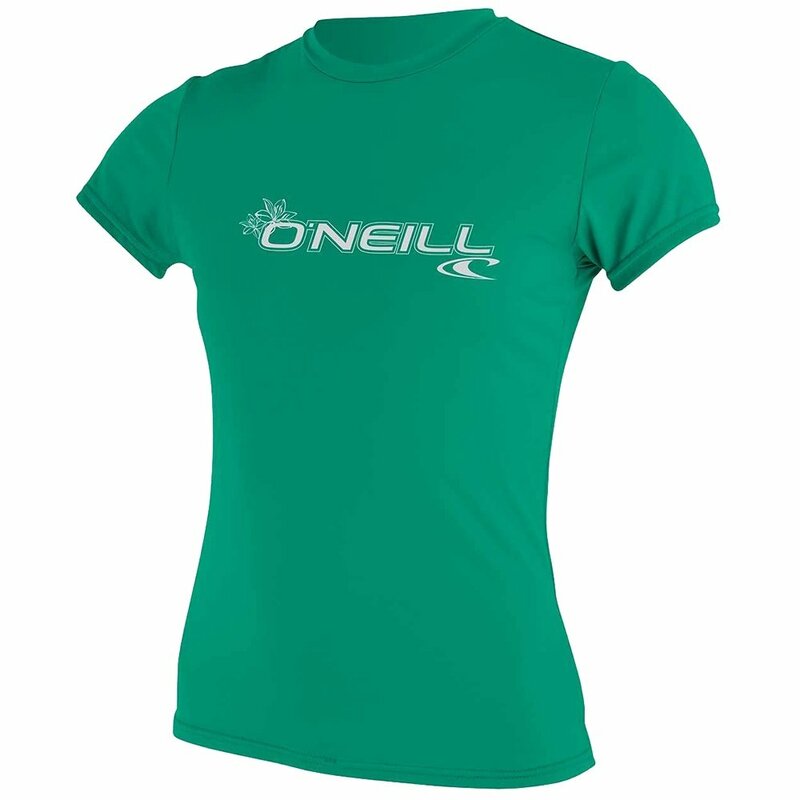 The O'Neill Basic Rashguard T-Shirt is convenient for surfing, kayaking, or even just relaxing on the beach. This top offers the protection of a rashguard with the comfort of a t-shirt. The fit is slightly relaxed and the fabric is very breathable, so it's comfortable to wear all day. The fabric also has UPF 50+ sun protection to help prevent burns. If you're planning on surfing, the Basic Rashguard will help prevent scrapes on your stomach and will provide a little extra warmth in chilly water. The two shirts we got are just perfect for my wife when she is in the pool. They help protect her from the sun.